The loss of limb is known as an amputation. Although it is not as common as some other car accident injuries, when it occurs, it causes lifelong disability. When amputation results from a car accident, it can easily and quickly be complicated by profuse bleeding that can lead to infection or shock. Both of these can be potentially life-threatening. 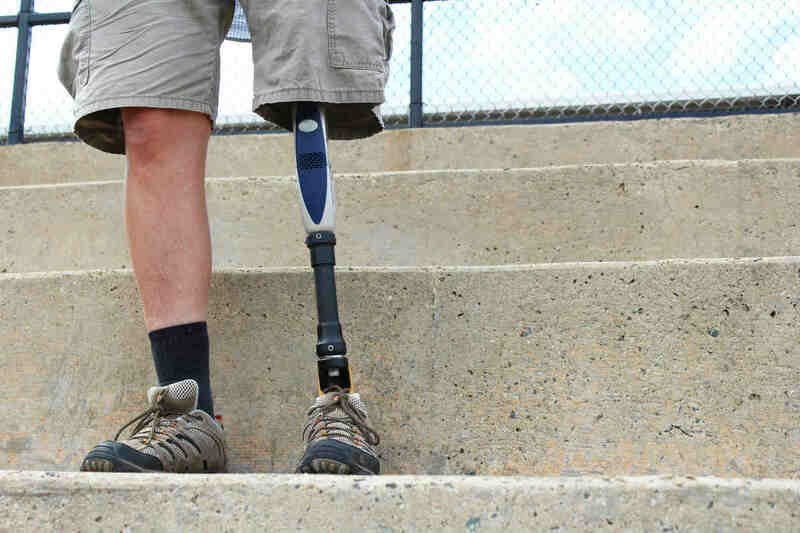 In some cases, it may be possible to reattach the severed limbs, however, in most cases, the victim will depend on a prosthetic limb. In the US, there are nearly 1.7 million people living with limb amputations. Car accidents are a more common cause of traumatic amputations compared to other causes such as congenital reasons, vascular disease or cancer. The risk of traumatic amputations increases steadily with age and is highest for people age 85 or older. As we said earlier, in some cases of traumatic amputation, the severed limb can be reattached, especially with proper and timely medical care. Modern replantation techniques show promising results. However, incomplete nerve regeneration still remains an important limiting factor. Most victims of traumatic amputations have to adapt to a prosthesis, which also can be quite challenging. Thanks to a better quality prosthesis and medical support available these days, car accident victims who suffer the loss of a limb can still have a high degree of function and can lead to a satisfying life. However, the suffering caused by such an injury can be inexplicable. Traumatic amputations cause both physical pain and immense emotional agony. If you have suffered a loss of a limb in a car accident, you can recover and lead a good life, but the road to recovery can be long, convoluted, and expensive. You are likely to require long and extensive medical care, and it may take months or even longer for you to get used to the prosthesis. Even if your severed limb can be reattached, you may need multiple surgeries and prolonged rehabilitation. All this can prove extremely expensive. If your car accident was a result of another person’s negligence, you may be able to recover all your expenses from the at-fault driver. Get in touch with an experienced St. Louis car crash lawyer at The Hoffmann Law Firm, L.L.C. We have the knowledge and experience necessary to protect your legal rights. Call (314) 361-4242 for a FREE case evaluation.